A Surrey- based healthcare firm has scooped two prestigious national awards in as many weeks for excellence in the diabetes industry. 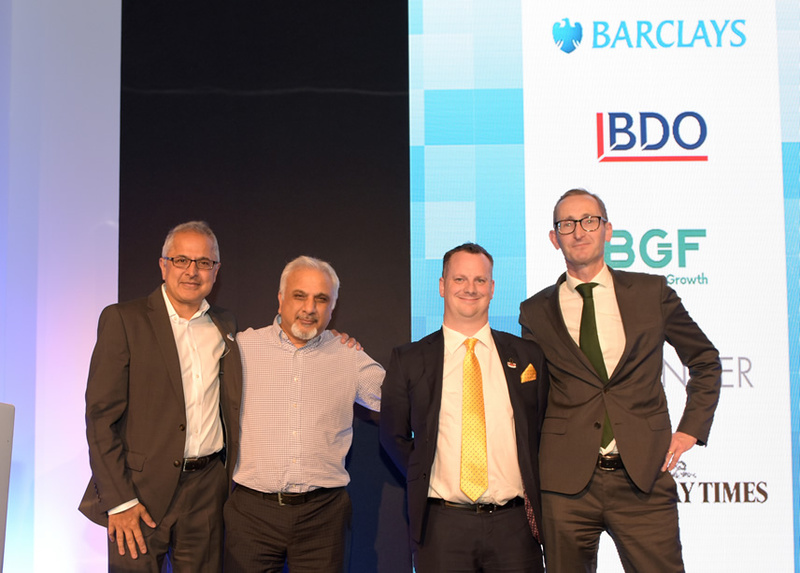 GlucoRx, a major supplier of quality diabetes products to the NHS, was handed an excellence award for social innovation at a celebratory dinner and ceremony at The Brewery in London to mark the Woking-based firm being named among the UK’s top 100 tech firms by the Sunday Times Tech Track 100. The awards showcased success and innovation across the industry including pharmaceutical, medical device and life sciences industries working in diabetes care. Commenting on his double win, Chris Chapman, GlucoRx Group Managing Director, said: “We are immensely proud to have appeared in the Tech Track 100 for the first time and delighted to receive an award for excellence on top of this. “Congratulations to GlucoRX, the award is testament to their hard work, dedication, innovation and, more importantly, the life-changing difference they are making to people with diabetes. Entries into the 14 categories were judged independently by leading professionals from the diabetes community, including chair of the Association of British Clinical Diabetologists (ABCD) and Consultant in Diabetes and Endocrinology Dr Dinesh Nagi, Abigail Kitt, who is Quality Improvement Lead (Diabetes), NHS England – South East Clinical Networks, and Sarah Bone, Chief Executive of Diabetes Research & Wellness Foundation (DRWF). DPC launched in 2015 and last year attracted a record 3,235 delegates. The free-to-attend, CPD-accredited event is for healthcare professionals involved in the prevention, treatment and management of diabetes and its related conditions. This year it took place on November 14 and 15. GlucoRx was ranked 70th Tech Track 100 league table – one of only two in the county and seven in the region to feature. The healthcare business recorded a 66 per cent sales growth over the past three years. GlucoRX, is one of seven companies in the south east of England which have grown their sales by an average of 136 per cent a year over three years to a total of £120 million, and together they now employ more than 500 people. Its products include blood glucose meters and insulin pen needles and has saved the NHS £150m in the past three years. Sales hit £24.9m in 2017.